You’ve decided to make it a New Year’s resolution to save money or live on a budget, which is awesome. However, your friends may not have the same goals or are in a different financial situation, making it difficult to balance your social and financial life. 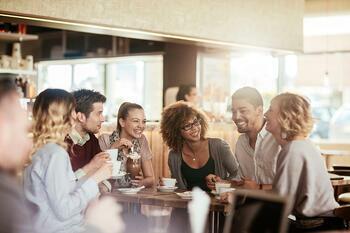 Here are some ways to help you cut down spending with friends. Let your friends know you are trying to save money or are on a budget. It’s not something to be embarrassed about. If friends and family know you are trying to save, they’re more likely to encourage you and even help. Keep track of which items you are most likely to splurge on. This can especially become a problem when shopping with friends. Peer pressure can have a huge influence on your spending leading you to make purchases you normally wouldn’t. If there’s a certain place where you love spending money, avoid going there. Let your friends know, at least for the time being, you’d like to go other places. Instead of going out, plan a get together at your house or a friend’s home. You can also make modifications to the things you already do. Instead of doing dinner AND drinks, eat before you leave or go back to a friend’s house after dinner. You could also bring cash with you instead of a credit card. This way, you will only spend what you have budgeted. Cutting all of the fun out of your life and sitting home every night is not the right way to go about saving money. There’s a good chance that one day you’ll snap and fall back into all of your bad habits. So instead of spending $200 a month going out to dinner; cut it down to $175 and then $150 and so on until you find a happy medium. This is a tough one, but sometimes you just have to say no to your friends and tell them you’ll be there next time. Just remember the goals you're aiming for when you have to make this decision.